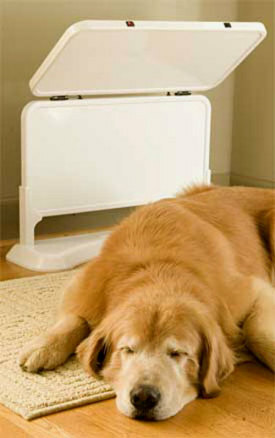 Far infrared heat, also known as radiant heat, has been used in medicine for more than 100 years. It has been applied to humans and animals as therapy for joint and muscle pain due to arthritis or overuse, therapy for stress, and for healing skin wounds and infections. Far infrared can penetrate up to two inches of skin, muscles, and joints, increasing circulation and cell regeneration in damaged tissue. Until recently, far infrared technology has only been used in therapeutic settings. Some home saunas for humans are now utilizing far infrared technology, but Fauna Sauna is the first pet far infrared device for the home. You will notice that it is totally open, unlike human saunas, so air circulation and pet claustrophobia are not issues you need to fear. 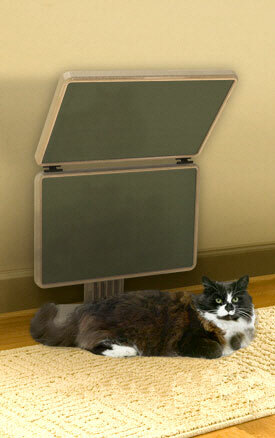 Fauna Sauna weighs less than 10 pounds and can be set up and moved as desired throughout the house or where your pet hangs out most. The Fauna Sauna is not cheap; the Fauna Sauna Classic costs $595, its Pro version is $695. But the Fauna Sauna comes with a lifetime warranty and a 60 day trial period so you can see if it provides the results your pet needs. You have to admit, it looks pretty enticing. I want to crawl up next to Fauna Sauna myself!